H.E. Curtis S. Chin is former U.S. Ambassador to the Asian Development Bank (ADB), serving under Presidents George W. Bush and Barack Obama. As a member of the bank's board of directors, he was a regular voice for strengthened governance, risk management and development efforts focused on people, planet and partnership - particularly in Asia's poorest and least-developed nations. He is the inaugural Asia Fellow at the Milken Institute, focussed on widening access to capital, creating jobs and improving health. He is a trustee of Community and Family Services International of the Philippines and a Managing Director with advisory firm RiverPeak Group LLC. 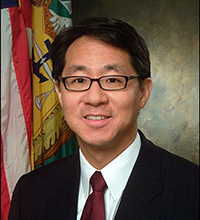 Previously, Ambassador Chin was a senior executive with Burson-Marsteller, where he led operations in Beijing and Hong Kong and provided counsel to governments, business and international organisations in such areas as stakeholder engagement, public affairs, corporate responsibility, crisis management and market entry. He has also worked for Burson-Marsteller in Tokyo, New York and Washington, D.C.
Ian was the UK Minister for Science and Technology from 1994-1997 and Member of the UK Parliament for 23 years until standing down at the May 2010 General Election. 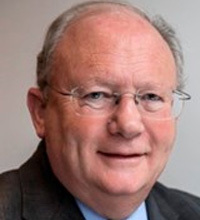 He chaired the all-Party Parliamentary and Scientific Committee and was an officer of several all-party Parliamentary committees including the Corporate Social Responsibility Group, the Office of Science & Technology, the European Information Society Group, PITCOM (Information Technology Committee), and was co-Chairman of the Space Committee. He sat on the Commission on National Security in 2007/09 and has written and spoken extensively on these subject areas. Prior to entering parliament, Ian had an 18 year career in international investment banking. He is currently Chairman of Lunar Missions Limited planning a science led exploration of the Moon. He is a member of the UK Science and Technology Facilities Council which provides research expertise and facilities in areas including alternative energy production, radio communications, radar, space and ground-based astronomy, microelectronics, wafer scale manufacturing, particle and nuclear physics. He is also Chairman of Living PlanIT, a company developing technology to accelerate the delivery of sustainable Future Cities. He has extensive board-level experience across multiple industries and non-profit organisations. Siddhant is Chairman of White Lotus Centre, a Private Sector Development, Public Communications and Project Management advisory firm. Between 1998 and 2003, he was Vice President at Merrill Lynch International Bank and then director for Asia-Pacific at Riggs Bank in London, advising multinationals and high net-worth individuals. 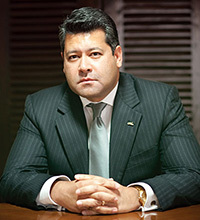 He was CEO of Ace Development Bank, Nepal's largest development bank, where he initiated ground-breaking activities, in partnership with international organisations, such as climate financing that allowed 5,000 rural households to make a sustainable living, and access to finance for Small and Medium Enterprises. He handled Nepal's largest IPO, which, until now, is the first case of a public institution in the financial sector being privatised. He successfully lobbied for the first dollar denominated bond in Nepal for a hydropower company, which he conceived and structured in order to encourage foreign direct investment. A graduate in Business Administration and Development Studies, Siddhant has gained academic degrees from Virginia Tech (USA), The London School of Economics (UK) and University of Bristol (UK). He also served as the Chairman of Credit Information Bureau.